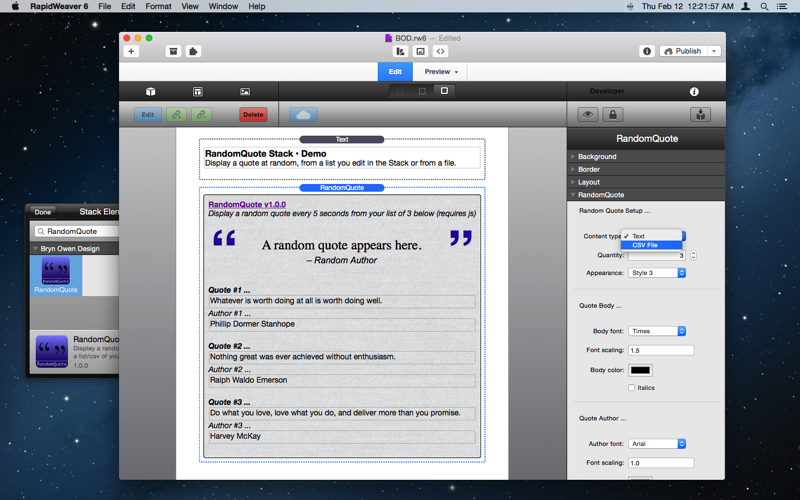 Display a quote at random, from a list you edit in the Stack or from a file. Want to display a random quote? Or how about cycle through a selection of quotes in a file? This Stack lets you type quotes in by hand or read them from a CSV spreadsheet file, and provides many styling options for making them look great on your web site. 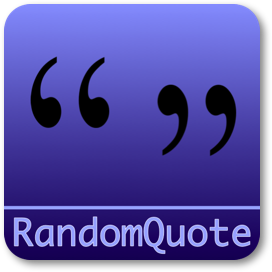 The RandomQuote Stack let’s you customize a multitude of styling options that control the appearance of the quote characters, the quote text, and the author text. There are even options for cycling through quotes, fading them in and out. Quotes can by typed in the edit area (there is a field for the quote and the author) or you can specify a CSV file to read instead (download a sample CSV here) which makes it simple to add new quotes across your entire site just by updating one spreadsheet on your Mac! Content type Select the source of your quotes: Text requires simply editing the quote body and author text fields provided; CSV File (requires php) reads lines from a csv file specified below. Note that quotes from a CSV file (which requires PHP) will not appear during Preview, but will work correctly after Publishing. CSV File Provide a relative file path or a complete url (containing http: or https:) to a csv format file from which to read non-blank, non-comment (comments start with #) lines. Each line contains the body of a quote in the first column, and the author of the quote in the second column. The file is automatically located one or two directories above if not found exactly where specified first. If a url is specified it must be complete and the file must exist. Quantity Select the number of quotes you will enter, and from which a random quote will be chosen. 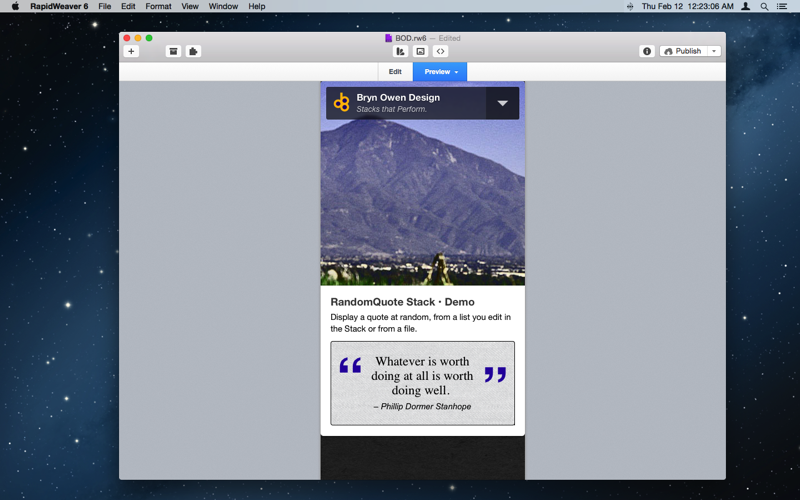 Appearance Select the style of quote layout to use. 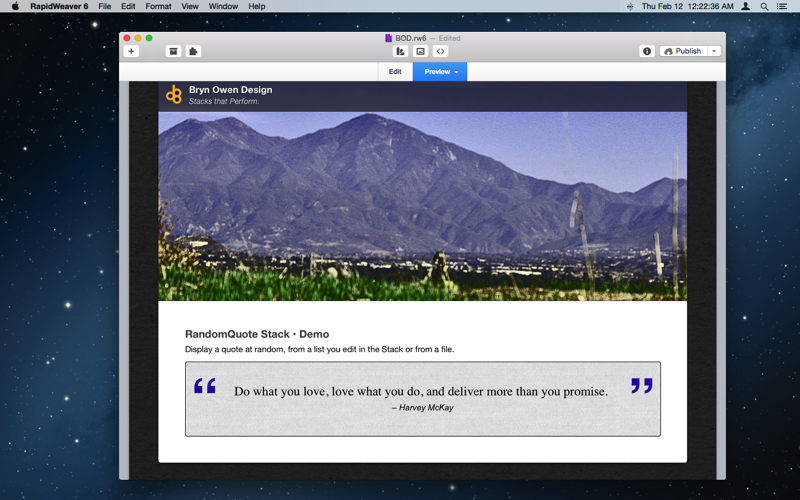 This setting affects the location of quote symbols, and the content and author placement, as well as other subtle features of the overall quote stack. Try each style to find the one that is best. Body font Select the font of the main quote body text, or use Other to specify one below. Font scaling Enter a value in em, where 1 is default font size. Body color Select the color of the main quote body text. Italics Italicize quote body text. You can still style the quote text as you enter it. Author font Select the font of the quote author text, or use Other to specify one below. Other font Select another font to use for the author text. Author color Select the color of the quote author text. Italics Italicize author text. You can still style the author text as you enter it. Dash style Select the style of dash to use before the author. Characters Select the style of quote symbols to use. Color Color of the quote symbols. Opacity Opacity of the quote symbols: 0=invisible to 100=opaque. Left only Enable this to show only the left-most quote symbol, otherwise both the right and left symbols will be shown. Cycle quotes Enable this to cycle randomly through quotes after the delay set below. When this is disabled, a random quote is selected only once when the page first loads and remains the same after. This is only works when there is more than one quote to select from. Cycle delay Set this to the number of seconds delay between selection of random quotes. Recommend to set this number high enough to allow each quote to be read. Fade quotes Enable this to fade quotes in and out when cycling is enabled. Note that any line beginning with # is considered a comment, and ignored. Blank lines are also ignored. Drag the CSV file into your RapidWeaver Resources or Publish the flle online somewhere (you will need the complete URL in this case). Download a sample CSV here. "I hear and I forget. I see and I remember. I do and I understand. ","Chinese Proverb"
"Nothing great was ever achieved without enthusiasm. ","Ralph Waldo Emerson"
"Do what you love, love what you do, and deliver more than you promise. ","Harvey McKay"
"It does not matter how slowly you go, so long as you do not stop. ","Confucius"
"Whatever is worth doing at all is worth doing well. ","Phillip Dormer Stanhope"
Select a font that suits your style, for the quote itself and the author, if any. Leave the author blank if you prefer, or add a name and a title on one or more lines.